Wedding season for Team Pantry Events kicked off last Saturday and we were off up to Cambo Estate for the wedding of Iain and Sarah. After a bit of a break over winter for the team, we were ready to get stuck back into it and deliver amazing wedding food. From the get go, Iain and Sarah wanted a relaxed day where they were able to spend time with their family and friends. Cambo Estate was the perfect venue for this as it allowed some of the wedding guests to stay with the couple for the whole weekend. The celebrations had definitely been going from earlier in the week - there were two hot tubs outside the house when we arrived! In the lead up to the big day, Iain and Sarah had leant more towards sharing style foods and wanted this from the reception all the way through to the end of dinner. 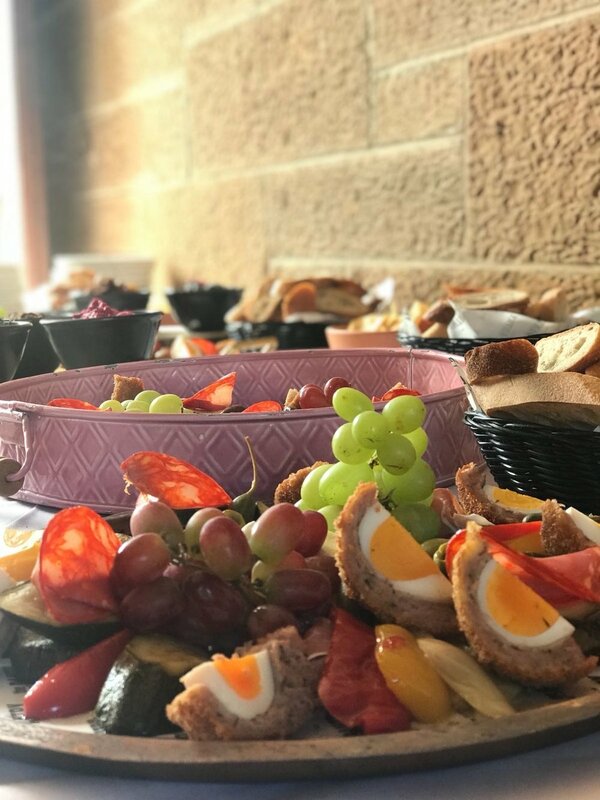 We worked with them to come up with a grazing menu for their reception that included some Pantry favourites like our Scotch Eggs! The guests were all able to enjoy the grazing station outside in the grounds of Cambo Estate in the sunshine too which made it even better! Iain and Sarah had decided on a Harry Potter theme for their dinner and had four long, banquet style tables each named after one of the Hogwarts Houses. The top table was even equipped with Harry Potter glasses and some wands! Dinner was a two course table picnic which included our beer can chicken, a salmon dish and smoked brisket. Dessert was a mixed berry crumble with a choice of either custard or ice cream. It was great to hear that guests were raving about our food to the Cambo staff - we even had a request for the crumble recipe! Dinner ended, the banquet tables were cleared away and the room was transformed into a dance floor. 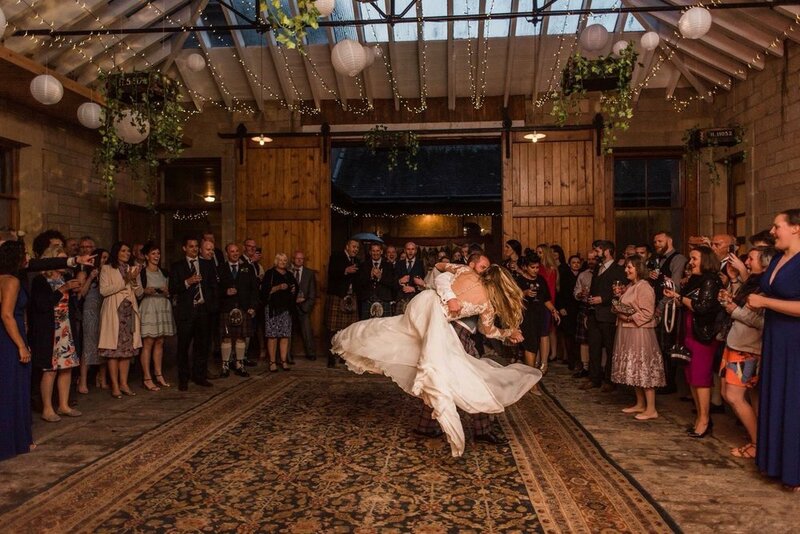 We always say that the DJ can make or break us at the end of a wedding day and Iain and Sarah’s DJ absolutely smashed it! When we weren’t dancing in the kitchen, we rolled the Tuck Truck into place and got ready for evening food. Iain and Sarah had chosen posh cheese toasties for their Tuck Truck grub and they went down an absolute treat! We even had people coming back for seconds! We had a great start to wedding season and we are so excited to get stuck into the rest of it! Congrats again to Iain and Sarah, we hope you enjoyed every minute of your day!